First it was a few unsubscribes, but now it seems like every week there are dozens. If this sounds familiar, it’s time to reevaluate the content you’re sending out and prevent customers from saying adios. The emails you send customers shouldn’t be one-size-fits-all. Review how you’ve segmented your audience and consider shifting things. If you have customers with an empty shopping cart in the same group as one-time shoppers, split them up. They’re at different points in their journey and need different prompts to come back and complete a transaction. In 2014, Ikea’s online catalogue used augmented reality to give customers a better idea of what their furniture looked like and how it could be placed around a room. Cosmetic companies are following suit as well, allowing people to upload photos and “test” the make up before buying. You aren’t the only one guilty of rehashing old content, albeit slightly altered, as part of your ongoing social media marketing efforts. Each channel, however, has a unique audience and therefore needs unique content. It’s not that you can’t use the same idea, just tailor it to each platform to increase your odds of engagement. Don’t forget to go beyond, “This is our brand, please like us.” Social media is a great place to offer special promotions or discounts, engage with the community, build relationships with other businesses, host promotions, announce special events, and so on. If there is one thing everyone can appreciate, it’s a good laugh. Whether you are sending a newsletter, reminder, offer, or welcome email, let your company’s personality shine through. Emails that are funny, witty, creative, or even a little tongue-in-cheek will stand out against the rest. 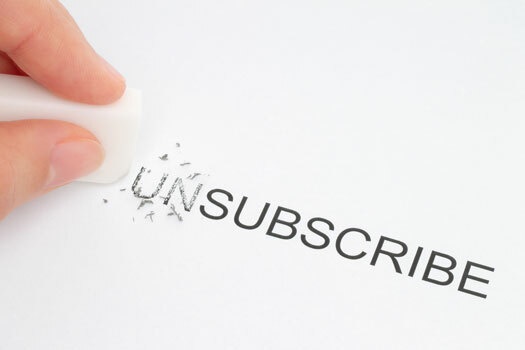 Some people will still unsubscribe, that’s just how it is. But with a little evaluation and creativity, you can keep customers happy and on board. Learn more about effective email and content marketing from Saba SEO, a San Diego SEO agency. Give us a call at (858) 277-1717 and request your free website audit.